R.E. Lee is a born-and-bred Charlottesville business that began in 1939 as R.E. Lee & Son, a construction firm dedicated to building and restoring fine and historic homes. In the 1950s, the company transitioned to commercial work, and in the 1990s, it spun off into several divisions. The company adheres to a parent-subsidiary structure today. Arlene became an official part of the R.E. Lee family in 1991, after meeting fourth-generation family member Chris Lee at Cornell University and marrying him in April of that year. The couple worked diligently to preserve the traditions set forth by the pioneering, honorable professionals before them. Arlene was a member of the board of directors for many years and became acting CEO of R.E. Lee Companies in 2016, two weeks after Chris’ sudden death in December 2015. Today, she is CEO/Principal of parent company R.E. 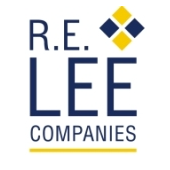 Lee Companies and Principal/Treasurer of its five subsidiaries: R.E. Lee & Sons, Inc., Piedmont Development Group, Piedmont Concrete Contractors, Piedmont Plaster & Drywall and Piedmont Facilities Management. “We’re also able to do things collectively that any one of these companies would be too small to do on their own in terms of how we do business and how we function internally, the benefits we’re able to offer employees – those kinds of things,” she adds. R.E. Lee Companies employs approximately 130 people and works on projects throughout most of the state. 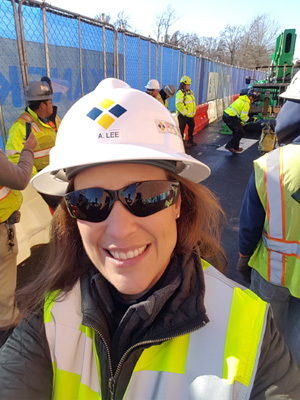 Arlene has a real passion for work safety, and hopes to eventually be known as an industry leader in the area. 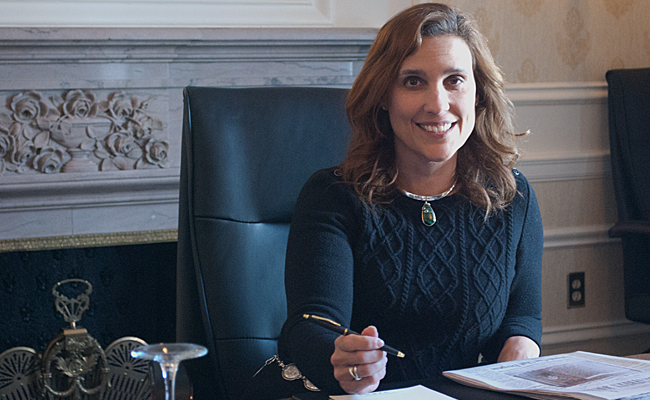 A Virginia Council of CEOs Forum member, she finds tremendous value in the confidential nature of her group’s discussions, which has inspired her to actively recruit other CEOs from Charlottesville to join the organization. 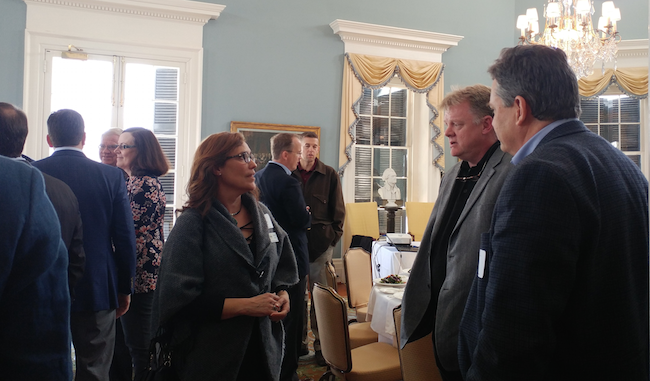 VACEOs’ recent partnership with the Virginia Chamber of Commerce has led to the formation of new CEO Roundtable groups in Charlottesville – with more planned across the state – which means more business leaders like Arlene Lee are joining the ranks and seeing the benefits of membership. Find out more about the partnership here.